The Miata turned 25 this year, which means that it is now legally old enough to rent another car. But it's also a cause for celebration. And Mazda is going to blow it out at the NY Auto Show. 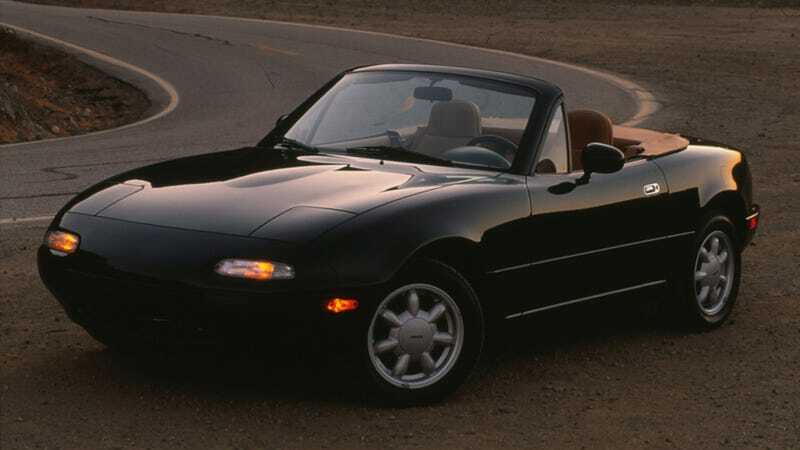 Instead of just cramming a new Club Edition Miata in the back of the stand, Mazda will have 15 of the delightful little roadsters on hand for all of us to gawk at. And I mean it'll be a lot of Miatas. Concepts. Road cars. Race cars. Well, that's really all it could be. I won't be going to any other stand while I'm at the show, because why would I? Book your tickets now and get ready to celebrate at Miatapalooza 2014. I'll be there and I'm going to follow the tour all summer.